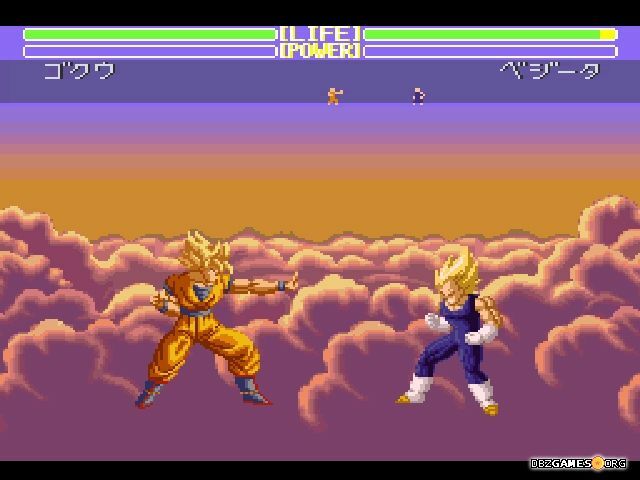 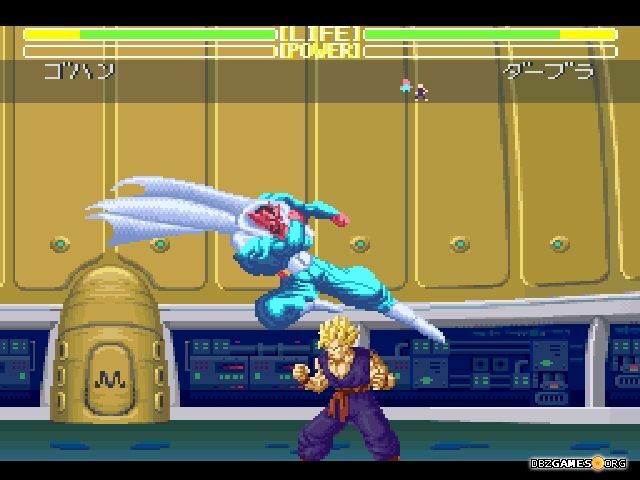 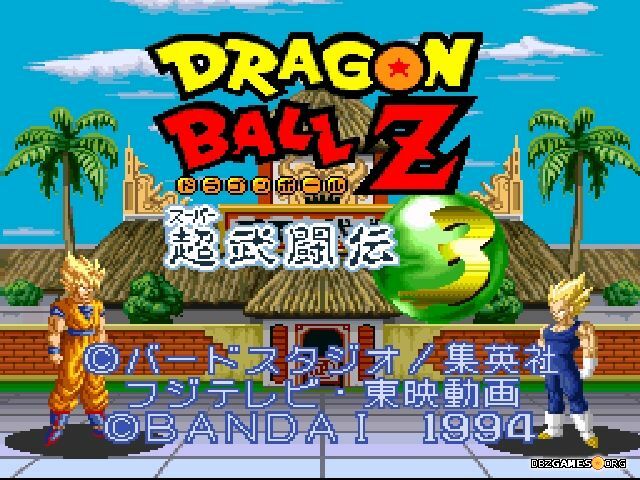 Dragon Ball Z Super Butōden 3 is a classic fighting game developed by TOSE Software and released by Bandai for Super Famicom/Super Nintendo on September 29, 1994 in Japan, and on March 1995 in France and Spain. 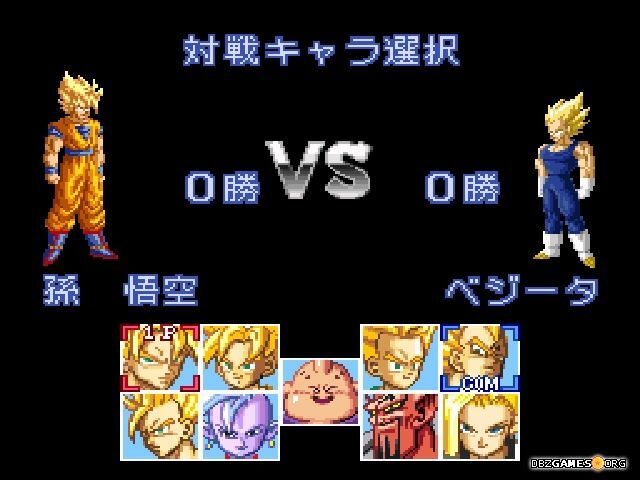 It's the third game in Butōden fighting game series and fourth Dragon Ball game released on this console. 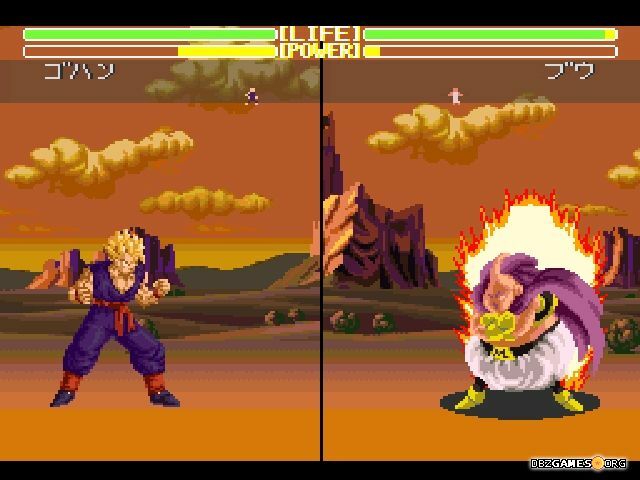 The game is set in the Buu Saga period, the only one not included in the predecessors. 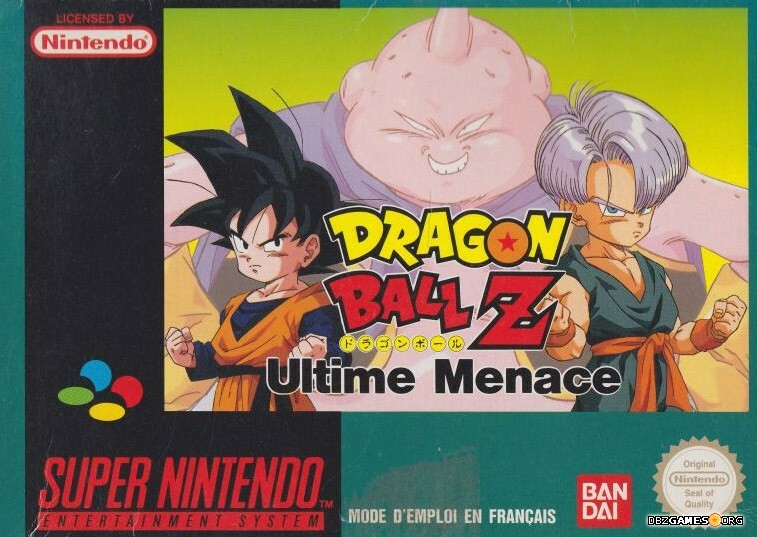 Unfortunately, this time the player will not experience the events from manga and anime, because unlike the two previous parts, the game doesn't feature Story mode. 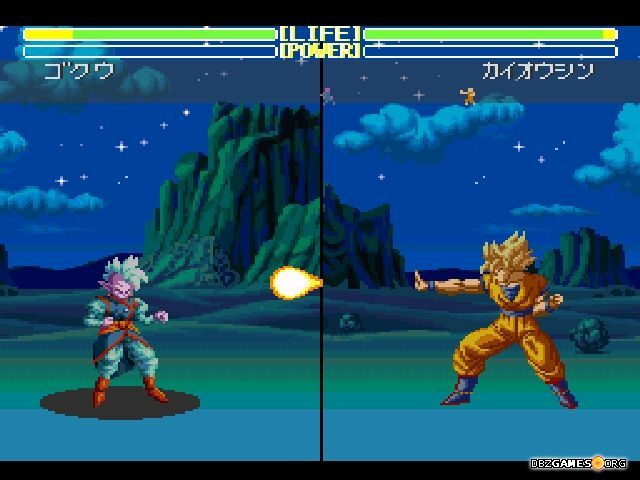 The game includes 9 different stages, but in practice, these are 4 unique arenas in few different color variants. 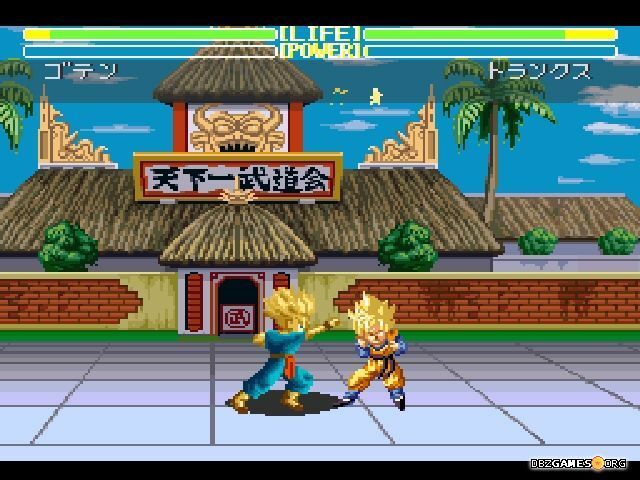 There are several iconic places like World Martial Arts Tournament arena, Babidi's spaceship, a wastelands where Z Fighters fought Dabura, and Piccolo was turned into stone. 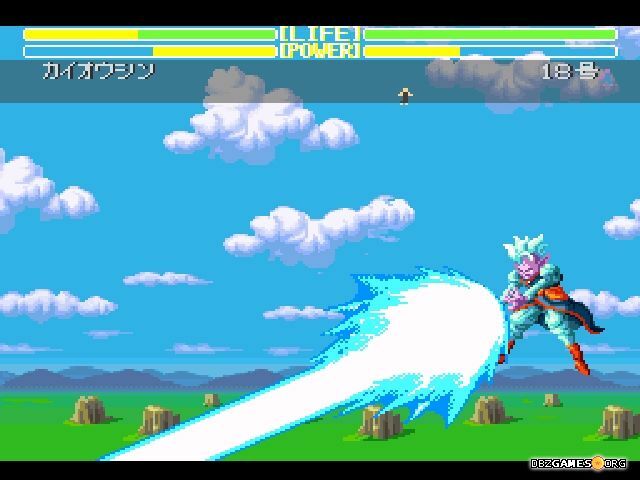 An additional stage is the sky, in which characterss have full freedom of movement.